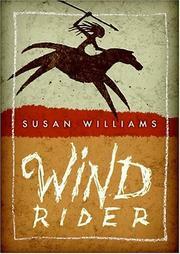 This book tells the story of the first taming of horses. We follow Fern as she (and her trusty dog) tames the first horse and introduces everyone else to the idea that horses are useful for things other than just meat. I feel like that doesn’t do a very good job of describing the book but it’s a coming of age story about family and change and one girl who understands horses in a way that no one else seems to. I really appreciated the fact that even though this book was intended for younger audiences, it never felt dumbed down or like it shied away from hard topics. There are a lot of hard topics dealt with in this book (death, depression, abuse, and just general violence) but they never overwhelmed the story or made it feel scary. They were just addressed in a really accessible and approachable manner that helps understand how they are part of life. I also really liked how although this is Fern’s story, it really is a story about family. It’s about the way her brother gets to be a hunter while she’s supposed to be excited about getting married. It’s about her mother who is so afraid of losing her that she shuns her. It’s about a wise old grandmother who is willing to embrace change. It’s about two siblings who love each other endlessly while also fighting all the time. I think the pacing of this book was also rather nice. There is a lot of time spent on her first taming the horse and figuring that out which is important but then we kind of skip through time faster in order to ultimately end up where we do (at a place that I really appreciated). I think the ending of the book really sets it apart so that even though it is a book about a girl and a horse, they both save each other and ultimately create their own family and world. Was there anything I didn’t like about this book? I’m not actually sure… I really enjoyed it. I didn’t feel like I was reading a book for middleschoolers. The setting was really interesting and unique. I just quite liked it and I suggest you give it a go.